Studied composition, musicology, and orchestral conducting at Madrid´s Real Conservatorio Superior de Música (RCSM) and at Frankfurt´s Musikhochschule with H. Zender. He studied conducting with E. García Asensio and Arturo Tamayo. He has a Law degree (Universidad Complutense Madrid). He developes two main musical aspects, as a composer, with a very important carrier around the world with several important commissions, premieres and projects (Breitkopf & Härtel is his Publisher), and as a conductor, working with many orchestras, ensembles, etc. mainly regarding 20th and 21st Century music, opera, new dramaturgies, and interdisciplinar proyects. He lives in Berlin and Madrid. As a conductor he workes with many ensembles and orchestras in Europe and America, such as Ensemble Modern (Frankfurt), Kammerensemble Modern der Deutschen Oper Berlin, KNM Berlin, Ensemble Mosaik Berlin, Ensemble Piano Possibile Munich, Freon Ensemble Rome, Österreiches Ensemble für Neue Musik (Salzburg), Grupo Dhamar Madrid, Ensemble Barcelona 216, Octonet Warschau, Grupo Enigma Saragossa, Grup Instrumental de Valencia, New Music Orchestra, Katowice City Singers’, Ensemble Camerata Silesia, Orquesta Sinfónica de Galicia, Orquesta Ciudad de Granada, Orquesta Sinfónica de la Región de Murcia, Orquesta Manuel de Falla, Orquesta de la Comunidad de Madrid, Orquesta Filarmónica de Montevideo, Brussels Philharmonic, etc. and solists as Carolin Widmann, Ara Malikian, Ofelia Sala, Ana Häsler, Celia Alcedo, Carlos Mena, Marcel Pérès, A. Garrobé, etc. He conducts in many festivals and institutions i.e. in Berlín (Deutsche Oper, Volksbühne, Ultraschall Festival, Sophiensaele, etc. ), Munich (Echtzeithalle), Frankfurt (Alte Oper), Hamburgo (Kapnagel, Ostertöne Festival), Stuttgart (Theaterhaus, ECLAT Festival), Warschau (Warschau Autumn Festival), Werdenberg (Intermediale Festival, Switzerland), Madrid (Teatro de la Zarzuela, Teatro Real, Auditorio Nacional, etc. ), Saragosaa (Auditorio), Barcelona (Auditori), Teatro San Carlo (la Biennale di Venezia), Granada (Festival Internacional de Música y Danza, Teatro Alhambra), Sevilla (Teatro Central, Auditorio CajaSol), Valencia (ENSEMNS Festival), Alicante (Teatro Principal), Cádiz (Teatro Manuel de Falla), Buenos Aires (Teatro San Martín, Teatro Colón), Lima (Auditorio Nacional), Montevideo (Teatro Solís), El Cairo (Biennale), Salzburg-Biennale (Residenz, Metronom), etc. He was distingued as Honorary Conductor by the Orquesta Manuel de Falla in Spain. As a conductor he has recorded different works from himself and from another composers in labels from Spain, Peru, and Austria. As a composer his music has been performed by ensembles and orchestras as Ensemble Modern, MusikFabrik, Ensemble Mosaik, Ensemble Recherche, KNM Berlin, Kaleidoskop Solistenensemble, Österreichisches Ensemble für Neue Musik, Konzerthaus Orchester Berlin, Rundfunk-Sinfonieorchester Berlin, Bayerischer Rundfunk, Hamburger Philharmoniker, Stuttgart Radio Orchestra, Finnish Radio Orchestra, Orquestre de la Suisse Romande, Luzener Sinfonieorchester, Orquesta Nacional de España, and many others in festivals such as Ultraschall Berlin, ECLAT Stuttgart, MärzMusik Berlin, Münchener Biennale, Musica Viva Munich, Ars Nova Donaueschingen, Schleswig Holstein Musikfestival, Beethoven Festpiele, Musicadhoy Madrid, Wien Modern, Salzburg-Biennale, Musica Nova Helsinki, Ars Musica Bruxelles, Warsau Autumn Festival, la Biennale di Venezia, etc. His music theater projects (with light and space dramaturgies like ATLAS, GRAMMA, AURA, Libro de las estancias, etc.) were performed at the Staatsoper Berlin, Deutsche Oper Berlin, Luzerner Theater, Münchener Biennale, Teatro Real Madrid, Theaterhaus Stuttgart, and in many other festivals in Hamburg, Venice, Granada, Buenos Aires, Cairo, etc.. He received international awards as the Kompositionspreis der Junge Deustche Philharmonie (Frankfurt 1999), Ernst-von-Siemens-Musikstiftung (Munich 2000). Prize of the Bergische Biennale (Wuppertal 2001), Premio Nacional de Música (Madrid 2003), Award for Artistic Excellence Villa Concordia (Bamberg 2014), Premio Ibn Arabi 2015, etc. He was Composer in residence by the Jünger Künstler Festival Bayreuth (2003), Carinthischer Sommer Festival 2005, Festival de Música Contemporánea de Lima (Perú, 2007), Ostertöne Festival (Hamburg), SchlossMediale Werdenberg (Switzerland, 2012), CNDM in Madrid (2014/2015), Dresdner Philharmonie (2015/2016), etc. From 1991 to 1996 Sánchez-Verdú was Counterpoint´s Professor at RCSM Madrid. From 2001 he is teaching composition at Düsseldorf´s Robert-Schumann-Hochschule. He was also composition´s teacher at the C. M. von Weber Musikhochschule in Dresde, and also Vertretungsprofessor for composition at the Hochschule für Musik, Theater und Medien in Hannover. 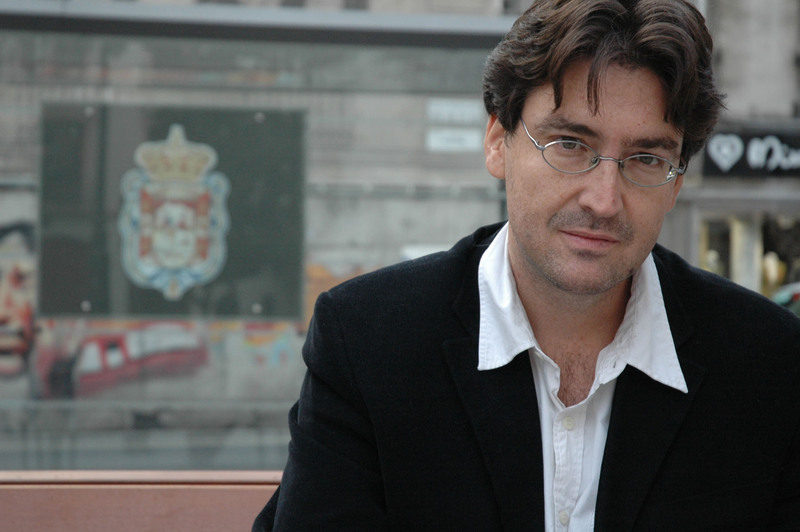 From 2008 he is Professor of composition at the Conservatorio Superior de Música de Aragón (Saragossa). He´s regularly invited as lecturer and composition teacher in many courses (IEMA-Ensemble Modern Academy, la Biennale di Venezia, Sibelius Academy Helsinki, Musikhochschule of Munich, Bremen, and Frankfurt, UdK Berlin, Warsau Autumn Festival, Royal Academy Aarhus, Haifa University, Tzlil Meudcan Festival Tel Aviv, etc.). His works appeared in labels as Kairos (Vienna), Col legno (Munich), Verso (Madrid), Anemos (Madrid), Columna Musica (Barcelona), Harmonia Mundi (Paris), etc. His publisher is Breitkopf & Härtel.